We received this beautiful fabric line in just in time for the 4th of July! 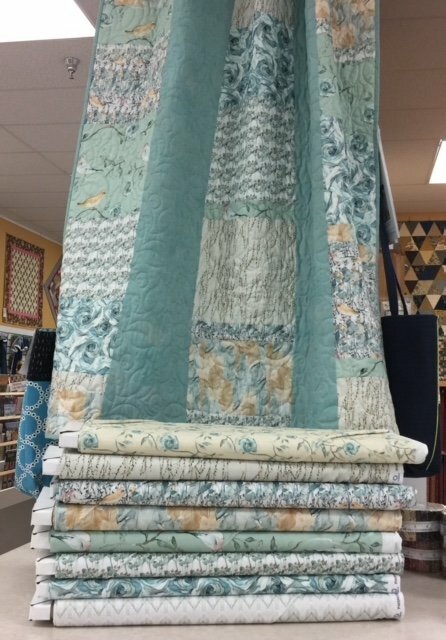 It’s a Marcus Fabrics line, designer is Laura Berringer and it’s called Songbook. I love the more muted colors of the fabric, to make for a more vintage looking patriotic quilt. 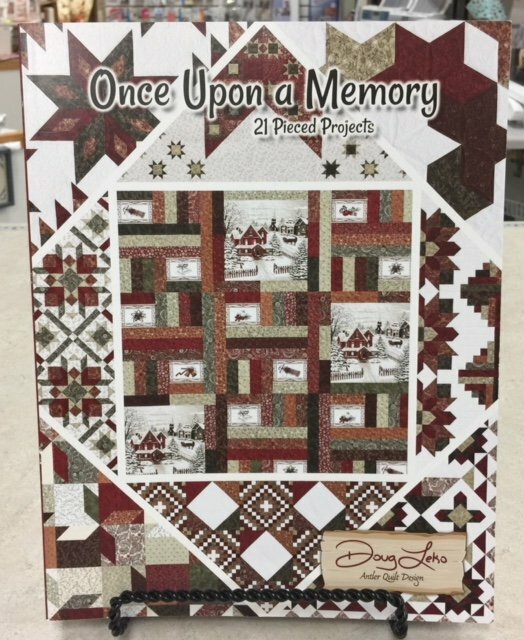 We also got in a fabric line called Once Upon a Memory. 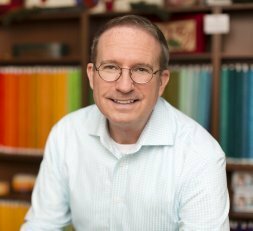 It is a Christmas fabric line, and this Doug Leko book has a lot of wonderful ideas on how to use the fabric to create amazing quilts and table runners. 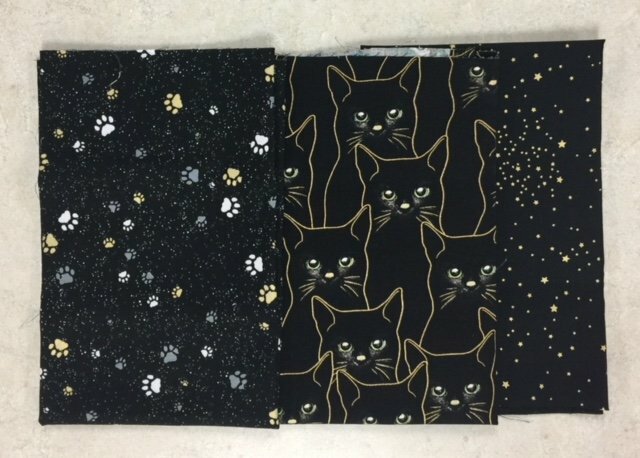 Lastly, I do love this Hoffman black cat line we received in. There are only three different bolts to the line. I think it is the green eyes of the cats against the black background and the gold metallic. I just love this fabric! If you come in and buy some, please bring in your show and tell and let me see what you created! 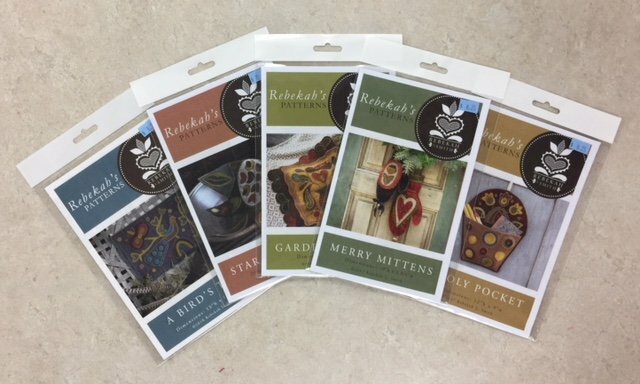 We received in new Rebekah K Smith patterns! This is a fun collection of patterns to add to our wool pattern area! If you are interested in doing the fall 12 Week Block Challenge, I need to have you sign up and pay by June 30th. The pattern in $40 and if you want the kit too, it's $220 altogether. We have a Pfaff educator coming to the store in July to do a make and take on our new Performance Icon’s. She is bringing in 11 Performance Icon’s for us to use. There will be more details to come as this event continues to develop. I’m very excited for this opportunity! You have a few more days to visit our classroom and see the beautiful Farm Girl Vintage Quilts. Each of them are so gorgeous…please stop in anytime and take a look! July is patriotic quilts and I’d love to have you drop yours off for us to hang in the classroom and put it on display! August is Patrick Lose quilts. Thank you to all the wonderful people who are doing the All Iowa Shop Hop! We still have some of the Iowa fabrics left. For the Central Iowa Region Movie Star Pattern, we ran out of two bolts of fabric within the first two days. We brought out a third bolt of fabric and completed giving out 1/4 yd. cuts on Thursday morning. I then brought out some fat quarters and we still have a few left. I appreciate so much each of you for stopping in and saying "hello"! I love the All Iowa Shop Hop event! It amazes me how many people travel from all over the state and some of you we only get to see once a year! Thank you for your loyalty! Carry on with your hopping! This week’s coupon is 15% off all books. Limit to 2 books. Coupon good June 12-June 18th and you must show the coupon at time of purchase. Thanks for all of your patience as we are getting the new POS system up and running. Even though it’s bit tricky for us, and we still are learning, everyone at Creekside says, it’s going to be a good system to have in place. Thank you for your patience and understanding! Just a little FYI, when you come up to the cutting table, have your email ready to rattle off! That’s how we find you in the system and associate your loyalty points to you. Thanks!